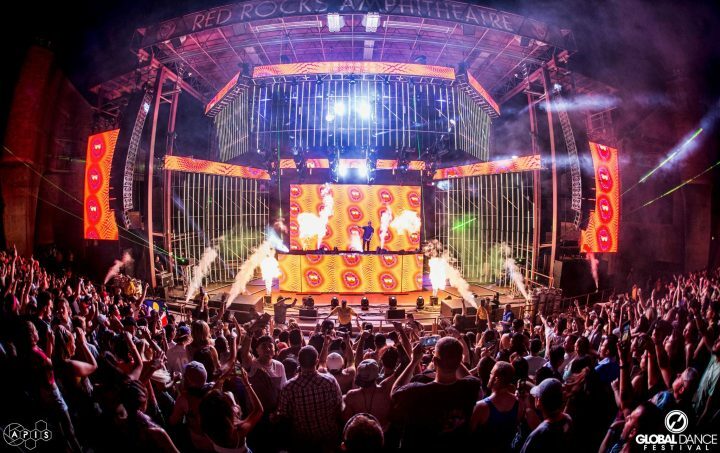 After 14 years at Red Rocks Amphitheater, Colorado’s Global Dance Festival will move to Sports Authority Field at Mile High this summer. Set for July 21 and 22, the new venue will allow for expanded attendance and festival features, including multiple stages, larger production, art installations, a food truck village, carnival rides and games, and more. The 2017 lineup includes Hardwell, Kaskade, Louis the Child, Excision, Datsik, Porter Robinson, Zhu, Nero, Deorro, 3LAU, Green Velvet, Nerobust, Ganja White Night, Asadi, Crywolf, Chris Lake, and more (see full lineup graphic below). Gates will open at 3 p.m. each day. 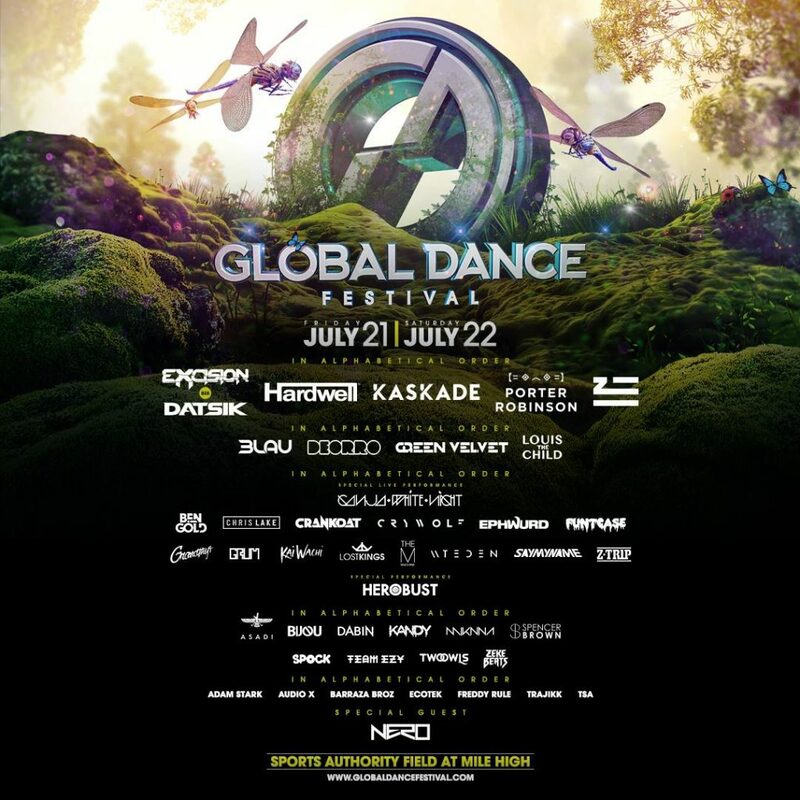 Two-day and single-day Global Dance Festival tickets are on sale now. Photo Gallery: Skylab – Denver, Colo.